Secluded horse property on 49+ rolling acres with riding trails through the woods. 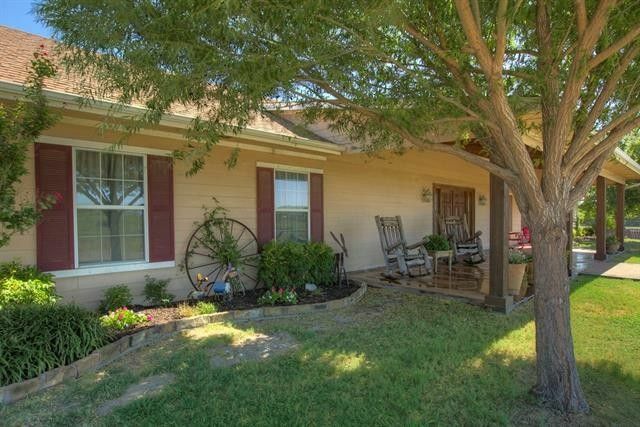 Custom home features open floor plan, Texas-sized fireplace, updated chef's dream kitchen and split bedrooms. Exterior amenities: gated entrance, 60x25' 4-bay workshop with 25' overhang, RV pad with utilities, shooting range, open air barn, arena, round pen, walker, loafing sheds, cross fenced pastures and pond. No HOA, AG exemption, quick access to I-30 & Hwy-66. Directions: From Dallas: I-30 to Royse City, Take FM-2642 (1565) exit, Left under overpass then Right onto North Service Road (it's two-way), turn into Southfork subdivision, Right on Southfork Dr North, Right on Barnes, Left on JR Court, Right on Jock Ewing, Right on CR 2660, Property gate immediately on Left.